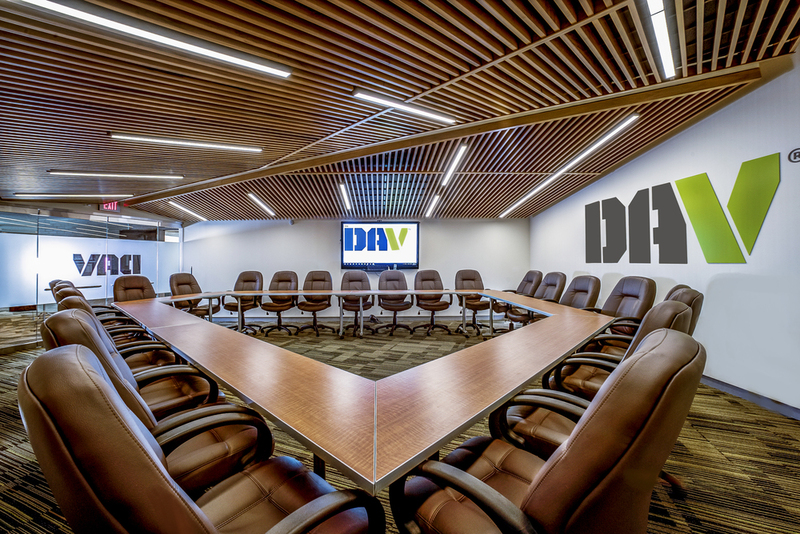 Renovation of the DAV Conference Room is Complete! 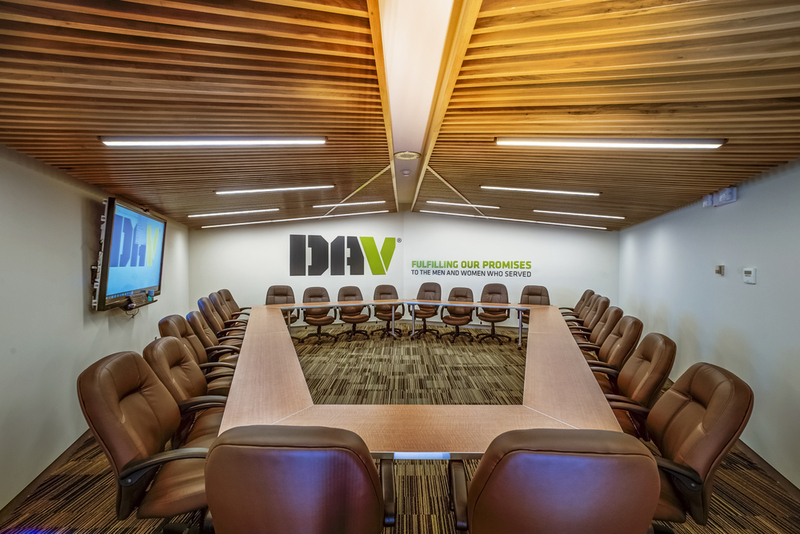 The renovation of the DAV Conference Room is complete and looking fantastic! Encore redesigned the space to increase the seating capacity of the room, provide better wheelchair access and modernize the 40 year old space. 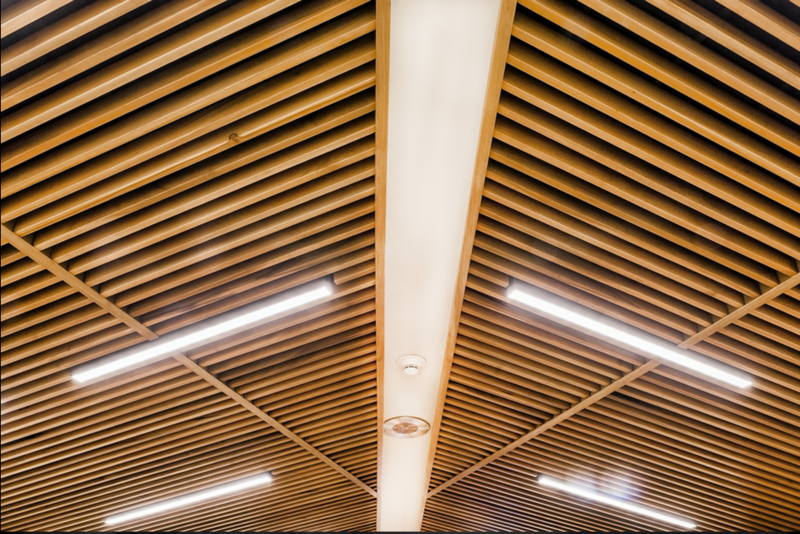 The shape of the ceiling was designed to be symbolic of all of the armed forces – wings for the Air Force, a tent for the Army, and a boat for the Navy and Marines. The previous conference room was a circular shape that did not accommodate persons in wheelchairs very easily. The new room is an elongated pentagon with plenty of maneuvering space around custom tables that can be rearranged for multiple seating groups. Accessibility is also increased by glass doors. The main doors into the room are glass doors on pivot hinges, providing easy access for whichever direction someone is traveling. 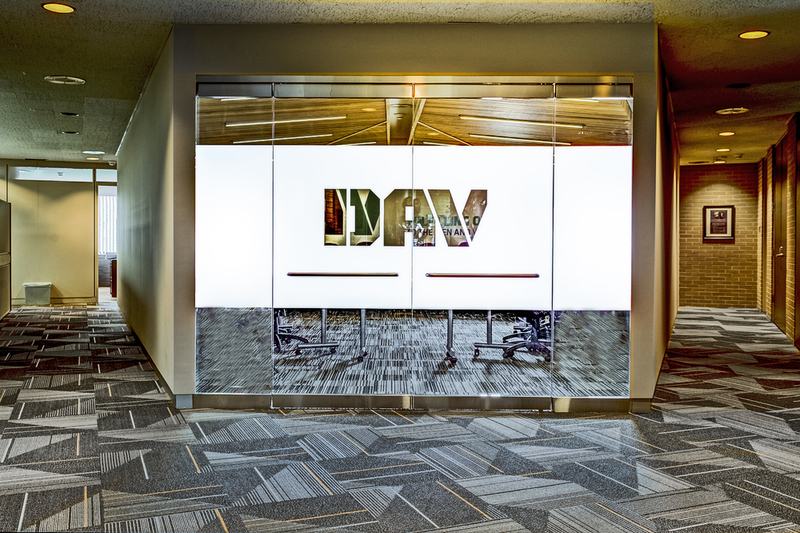 The glass doors are frosted with the DAV logo and provide a sense of privacy without sacrificing safety.